One of the distinguishing characteristics that sets humans apart from other life forms is our need for and love of story and narrative. We each have a story to tell, and we want to hear the stories of others. We develop our sense of self and our place in the world through narrative and history. We want to learn about people from the past. How did they influence us, beyond causing our birth? We imagine the future and all its possibilities—our possibilities. We connect with and ground our humanity as we interweave our narrative with past and future narratives. Those who struggle with dyslexia or other reading challenges are no different, although they have a harder time reading and writing. If parents and educators can help these students develop a love of story, it’s the strongest motivator to help them doggedly persevere as readers and writers. Simply stated, without such perseverance, our stories will go untold. It’s imperative that we use as many avenues of communicating stories as possible to inspire the next generation of readers. And when someone goes to heroic effort to make sure a story is well told, it’s all the more inspiring. When I was a child, reading was torture to me, but television and film sparked my love of story. I particularly loved programs that stimulated my imagination, those which explored ideas that were futuristic, adventurous, and visually appealing. My favorite program (which I never missed!) was Star Trek. I’ve enjoyed the franchise ever since. It was love for this particular type of story that got me excited about a studio-quality independent Star Trek film that is solely funded by donations from fans. 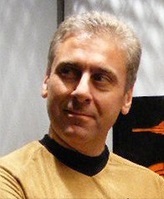 The film, currently in production, is called Star Trek Axanar. Alec Peters, executive producer and star of Axanar, has graciously agreed to be interviewed about Star Trek Axanar and how his passion for telling a great story has made an idea into reality. Don: What can you tell us about Axanar? Alec: Axanar is a groundbreaking independent film that proves that a studio doesn’t need to spend millions of dollars to produce a feature quality production. Axanar will be the first non-CBS/Paramount produced Star Trek to look and feel like a true Star Trek movie. 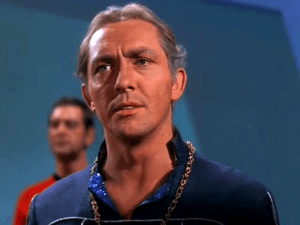 The story of Garth of Izar, a character only seen in one episode of the original Star Trek, is one I first wrote 20 years ago. It wasn’t until 3 years ago, after playing Garth in the well-known Star Trek: Phase II fan film, that I turned the story into a screenplay. Making a fan film was not of interest to me. I decided that if I was going to make Axanar, it needed to look like a real film. And fortunately director Robert Meyer Burnett (Free Enterprise) wants to do the same thing. 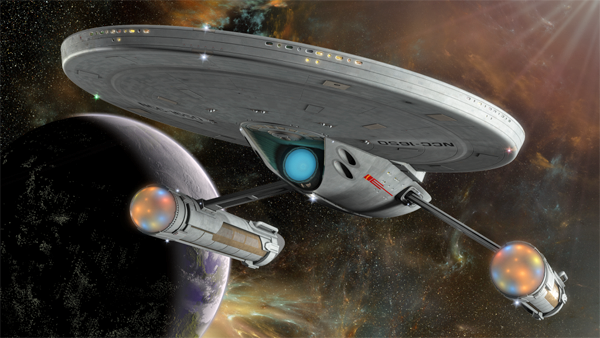 Making a cutting edge version of Star Trek, that honors, the original, is what we want to do. 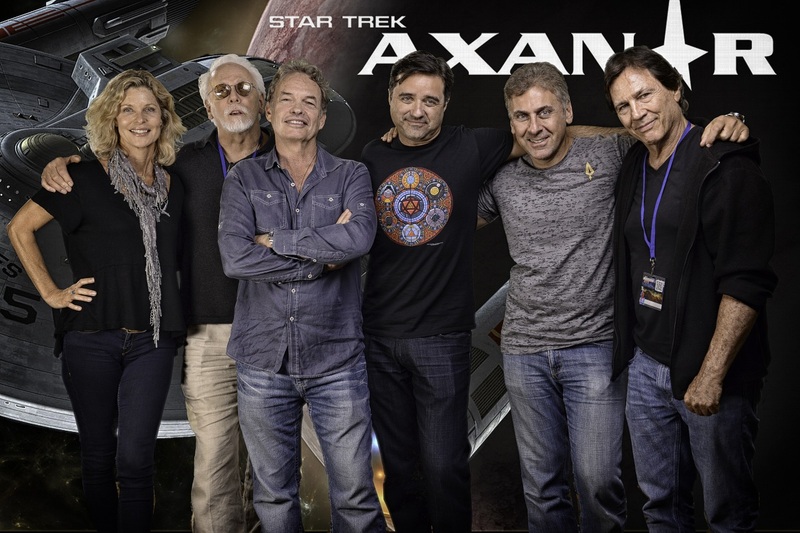 Pre-production is well underway and Axanar is scheduled to begin filming in Los Angeles in January of 2016 with a tentative release in spring/summer of 2016. Don: The world of movies and television traditionally involve a process that limits access to smaller creative teams or projects. How has thinking outside the box enabled you to tackle such a groundbreaking project? Alec: Well, having a minuscule budget, we have relied on professionals and amateurs who are fans of Axanar to help build out our teams. The Art Department is the most significant of these. From concept art to graphic art to web design to 3D set design, we have about 20 artists, most professionals, some talented amateurs, who donate their time. We keep getting talented people who see what we are doing and decide to donate their time. It is the only way we can do this. As Rob Burnett always says, we are making a $100 million movie on 1% of that. So you need to be smart and leverage your fan base. Don: How did the story come together? Alec: I wrote my first Garth story 25 years ago. But it wasn’t until I started collecting screen used props & costumes from Star Trek and started Propworx that things changed. In 2010 I bought the original costume Steve Inhat wore as Garth. I happened to be talking about costumes one day with James Cawley, of Star Trek, Phase II and I mentioned the costume. We discussed how great a character Garth was and how it was a shame that they had never explored the character more. Then James said “Well, you know we are shooting an episode called ‘Origins’ which is about Kirk at the Academy and that was the time of Garth. We should add him into the script.” And I said “You should!” to which James said “Well, you should come play him!” So I did, and you can see that clip here. While at lunch with James one day during the shoot, I told him about my story and he said I should produce it. And that started me on a journey, that is now, 5 years later, finally seeing a culmination. The first step in that journey was writing a treatment. I got through the first 3 acts of that treatment, which takes you up to the actual battle, and I sent it to Marco Palmieri, who had just left Pocket Books where he had served as editor of all the Star Trek books. His feedback was amazing. Most importantly he felt Garth actually needed more of a story arc. Marco felt that the best Star Trek pilots were ‘The Cage’ and DS9’s ‘Emissary’ because they have great arcs for their captains. In each, the captain is struggling with their career and their choices and the story propels them to explore that struggle. I immediately realized I had to explore Garth further. I then signed up for a screenwriting class with the godfather of Hollywood screenwriting coaches, Robert McKee. I am a pretty good writer, but I knew nothing about writing a screenplay. Well 4 days with Robert McKee and you learn a lot. I had already read his classic book “Story!” and so the seminar, which was the suggestion of Star Trek: Phase II’s Doctor McCoy, John Kelley, really expanded my understanding of writing for the screen. And I was off. I got the first three acts done in about 6 months, and then it took me a good year to get Act 4 done. During this time I got to be friends with Dave Galanter who has written a number of Star Trek books for Pocket Books. He worked as my story editor and helped me immensely. Act 4 took a long time as it was a real struggle what to do with the battle. I simply didn’t want it to be like anything we had seen before. The biggest battles we had seen in Star Trek are in Deep Space Nine in the war with the Dominion, and frankly they are pretty weak. Just lots and lots of ships beating each other up and punching through shields as if they weren’t there. UGH. So I started researching space combat online and by reading the first three of David Weber’s Honor Harrington novels. Those were really good and helped me envision a different type of Space Combat. Don: Who are the cast members and how did they become part of the Axanar project? Alec: I first approached Richard Hatch, who was my acting coach, and asked him to play Kharn. He loved the idea. And with Richard on board, JG Hertzler was next. He likes Richard a ton, and so he joined as soon as he heard Richard was on board. Then Gary Graham jumped on board, then Kate Vernon and finally Tony Todd. And now that we have Prelude to Axanar to show, it is easy to get talent. Don: What challenges have you faced? Alec: Money is the biggest. People don’t understand how expensive this project is. The donors who pay attention, read our crowd funding campaigns thoroughly, read the updates, and want to be involved, are our biggest supporters. But when donors don’t actually read the info, then their expectations are unrealistic. We try and really keep everyone involved and communicate everything we can so people are fully informed. Don: Did you ever imagine that you would become an actor and producer when you were a child? Alec: Never, it is something totally unexpected! But I like trying new things and embracing new challenges. Don: What in your childhood inspired you? Alec: I was born in 1960 so grew up in the space race and watching the Apollo program. I think that is what truly inspired me. Like many my age, I wanted to be an astronaut and so loving Sci Fi was natural. Don: Do you have advice for parents today in encouraging their children to pursue their passions? Alec: Just that! Pursue what you love. Parents are so often concerned about preparing their kids for a career or structuring their lives. Just let your kids follow their dreams and give them the tools to make good decisions. If they do that, they will be happy! Don: Where/how will the movie be distributed? Alec: Online only. And donors will get Blu-rays/DVDs if they donated for them. Don: Where can people get more information about Axanar and to make donations?